It`s always interesting to see how different illustrators interpret and represent the same piece of work. 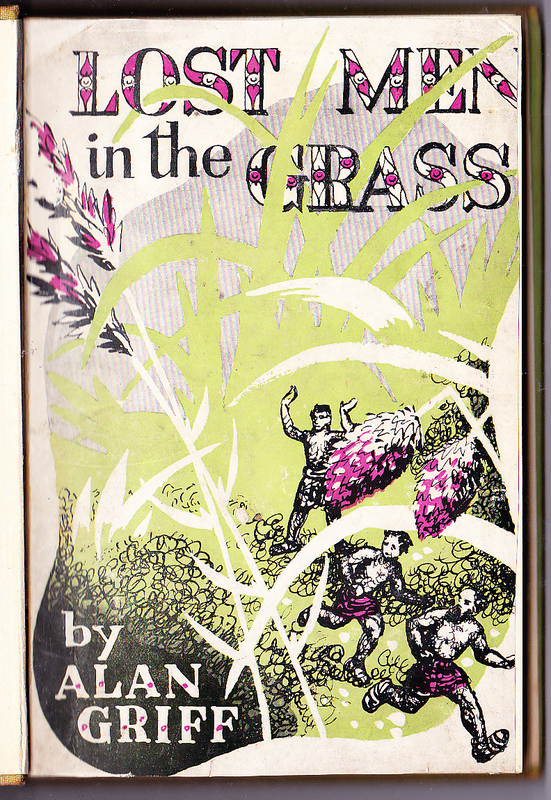 Examples of this appear at 3869 and 3870 in our listings where we find two different editions of Lost Men in the Grass by Donald Suddaby aka Alan Griff. First up, here is the dust jacket from 3869. This edition dates from 1945 and was published by the OUP. 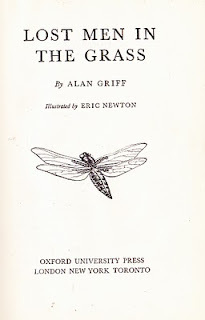 The author is credited under the psdeudonym Alan Griff and internal illustrations are by Eric Newton. (his work appears in both 3869 and 3870). For reasons which will become apparent if you check our description of this item, we are unable to tell you the name of the dust jacket artist. The internal illustrations are done to a very high standard as even a philistine like myself can tell. 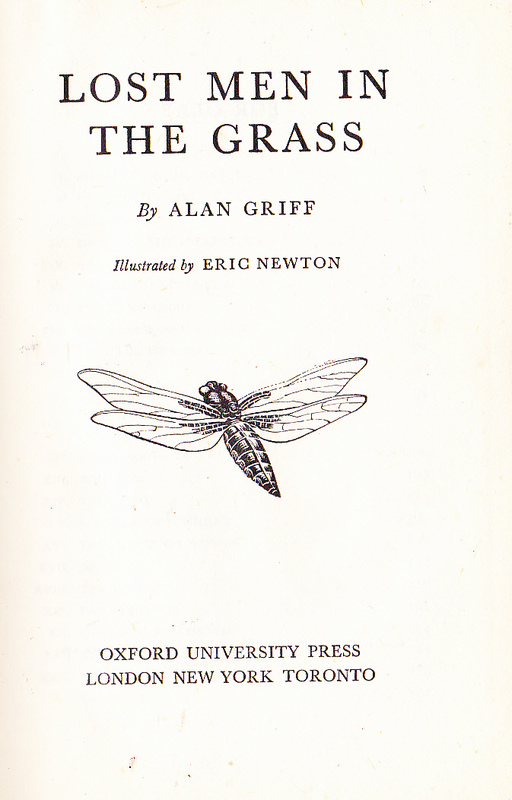 Interestingly, the title page to 3869 is illustrated with a likeness of a winged insect, whilst the title page to 3870 is not illustrated at all. I`m sorry for the shadow to the left-hand side as you look at it, but didn`t want to press down on the spine. So there you have it - the same book through different eyes. Surprisingly, there is little on the web about author or artists. 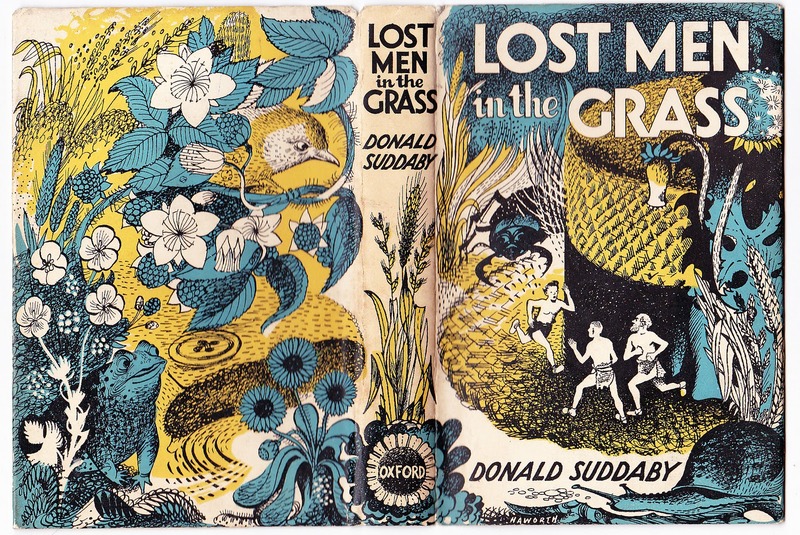 Suddaby, as you may know, was born in Leeds in 1900 and was a prolific writer of children`s books. He is best remembered for his science fiction and fantasy work, but did also produce books that you might loosely class as historical fiction. As far as we know, he did not write any titles aimed at adults. If anyone has further information on author or illustrators then, as ever, we`d be glad to hear from you. I believe Donald/Alan had a grandson, Mark J Suddaby who is also a published writer. And now, the boring stuff. To read more details of the books mentioned, or to see more images, use the `Buy Books` links provided. If considering making a purchase, please read the descriptions fully, particularly in the case of 3869. Thanks for posting this. Donald Suddaby is my Grand Father (my father's father). I have one version of this book but have never seen the one published as Donald Suddaby. Very interesting...even more so since I am a graphic designer illustrator for a living! 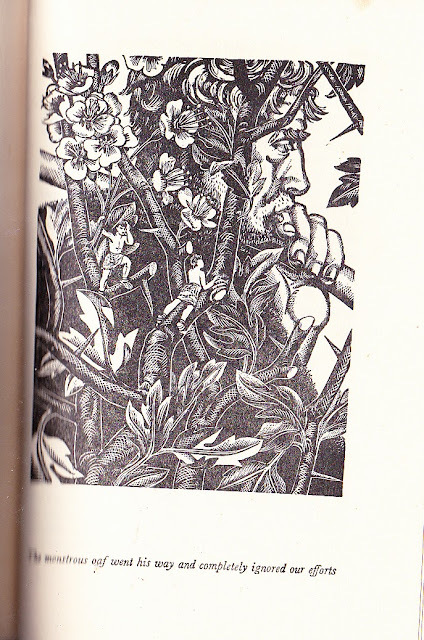 My maternal grandfather illustrated 3870. He and is wife were professional illustrators during that period and worked together on books, periodicals and maps. Quite a coincidence that you now have a career as a graphic designer! 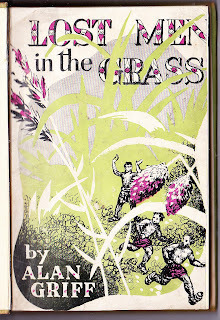 I read this book and Prisoners of Saturn when I was about twelve. They were in my school library. Are they still available? Yes indeed, 3870 is still available. Apologies for not picking up your message earlier.Until recently there was no easy way for us to check comments, other than by regularly scanning through our old postings to see if anyone had commented. Fortunately, Blogger have now introduced a different system. As a general thing, this blog does have links to ABE Books and to the Hoonaloon catalogue for anyone wanting to check stock availability.